Arvind Akela Kallu Ji is the most handsome & popular Bhojpuri actor and singer in Bhojpuri movie industry. He started his singing career in very small age and became viral on the internet from his debut song ‘Bolta Muragava Kukddu Kooo’ and debut movie Dildar Sajna. He rose to fame with his Bhojpuri songs, Choliya Ke Huk Raja Ji. Now he mainly active in Bhojpuri movie industry as an action actor. He gave lots of hit movies to Bhojpuri cinema and won several awards. His last recent movie is ‘Balma Bihar Wala 2’. This movie is a good review and collects good business at the Bhojpuri box office. 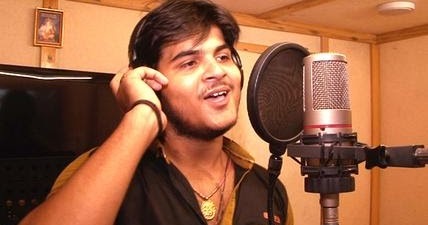 Arvind Akela was born on 26-July-1997 in Buxar, Bihar. He is very good in acting, Singing and in dance also. He is very crazy about Cricket and Football. Recently Arvind has not married. He has a huge fan following among youths of UP, BIHAR. His popularity increased day by day with his every song. He worked various movies to Bhojpuri cinema and won various awards.